Mozilla have this week announced the initial release of their open source speech recognition software model and voice dataset which is the world’s second largest publicly available resource and has been created thanks to nearly 20,000 people around the world. At the current time only a few commercial quality speech recognition services are available which Mozilla says are dominated by a “small number of large companies”. Reducing the choice and availability to start-ups, researchers and businesses or anyone else interested in developing speech recognition applications or projects. By making available the new speech recognition model Mozilla hopes to allow a new breed of developers the resources they require to expand speech recognition. Mozilla explains more about the new speech recognition software model and voice dataset now available consisting of nearly 400,000 recordings, representing 500 hours of speech which is now available for anyone to download. With the holiday, gift-giving season upon us, many people are about to experience the ease and power of new speech-enabled devices. 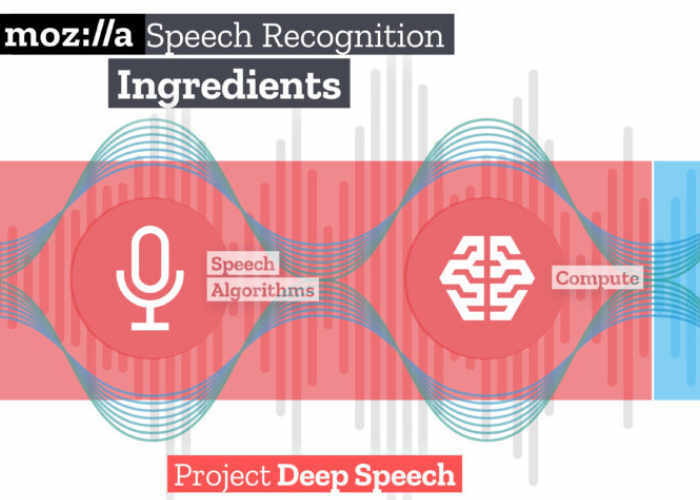 Technical advancements have fueled the growth of speech interfaces through the availability of machine learning tools, resulting in more Internet-connected products that can listen and respond to us than ever before At Mozilla we’re excited about the potential of speech recognition. We believe this technology can and will enable a wave of innovative products and services, and that it should be available to everyone. And yet, while this technology is still maturing, we’re seeing significant barriers to innovation that can put people first. These challenges inspired us to launch Project DeepSpeech and Project Common Voice. Today, we have reached two important milestones in these projects for the speech recognition work of our Machine Learning Group at Mozilla. One reason so few services are commercially available is a lack of data. Startups, researchers or anyone else who wants to build voice-enabled technologies need high quality, transcribed voice data on which to train machine learning algorithms. Right now, they can only access fairly limited data sets. We believe that large and publicly available voice datasets foster innovation and healthy commercial competition in machine-learning based speech technology. This is a global effort and we invite everyone to participate. Our aim is to help speech technology be more inclusive, reflecting the diversity of voices from around the world.